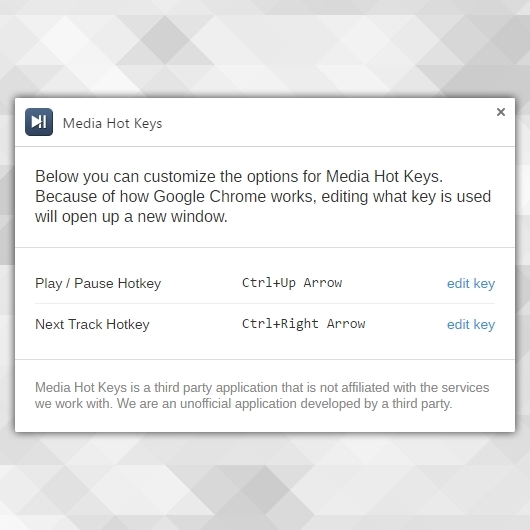 Media Hot Keys is a Google Chrome extension that makes it easy to control the playback of media services. Our extension allows you to set global shortcut keys to pause, play, and skip tracks on your favorite services. Our extension stands out by making it easy to modify what shortcut keys are used to pause your music. You no longer have to track down what tab is blasting your music, just hit the pause button on your keyboard to pause, resume, and skip. Currently Media Hot Keys works with Pandora. 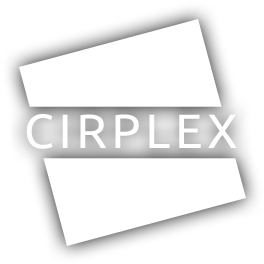 At this time, there are no plans to expand what services work with Media Hot Keys, but I will continue to monitor the demand to support additional services.